A romantic Savannah bed and breakfast awaits you at the Foley House Inn. This 19-room bed and breakfast in Savannah, Georgia caters to adult getaways, relaxing escapes, honeymoons, celebrations, and fun-filled vacations. Enjoy luxury accommodations with a variety of décor styles. They include traditional, American country, modern, and transitional. All rooms have private baths. Some include jacuzzi tubs for two, or oversized showers. 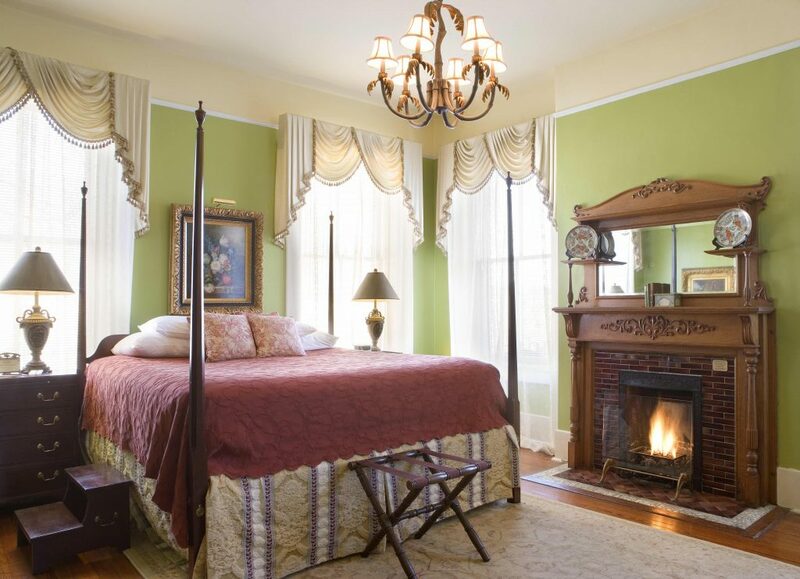 Above all most rooms in our romantic Savannah bed and breakfast feature working fireplaces. You will also find in room flat screen televisions. Free wireless Internet access can be found in most guest rooms. Known for not only its fine accommodations, the Foley House Inn is also well known for its wonderful service. We offer warm hospitality, fine southern cuisine, and friendly and spacious parlor common area to great other guests. Check availability. Food is a key part of any vacation experience. At the Foley House Inn romantic Savannah bed and breakfast, great pride is taken in what we offer. We give you outstanding cuisine and attentive service. All in a comfortable, and certainly friendly atmosphere. Each morning, enjoy a bountiful breakfast. Begin with a variety of freshly baked treats, fruits, yogurts, and juices. After that what follows, is your choice of two entrees or eggs any style. Most importantly don’t miss out on the delicious house made pastries served between 3:00 – 5:00 pm. Match that up with a perfect cup of tea or coffee (hot or cold). Moreover in summer months, iced tea and lemonade are also available. Remember, all this deliciousness is at no additional charge at this romantic Savannah Bed and breakfast. Certainly you wont want to miss out on our evening complimentary wine reception. That is to say you will get what you are looking for. Finally after a full day of adventure, there is no reason to drive away searching for a perfect dining experience. This romantic Savannah bed and breakfast is within walking distance of every wonderful restaurant is the Savannah Historic District.